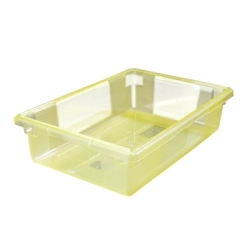 8.5 Gallon Yellow StorPlus™ Color-Coded Food Storage Box 26" x 18" x 6" (Lids sold separately) | U.S. Plastic Corp. 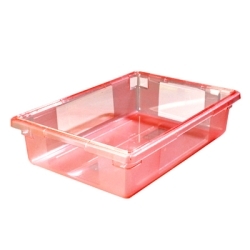 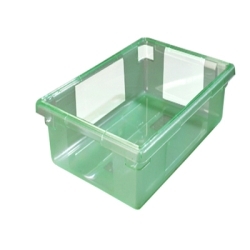 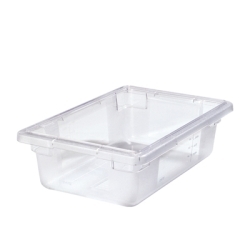 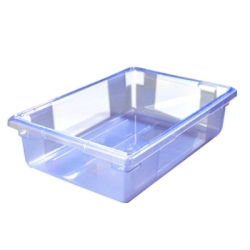 Prevent cross-contamination with Color-Coded StorPlus™ Food Storage Boxes and Lids. 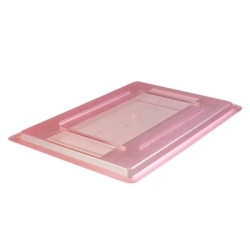 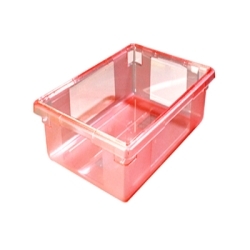 RimGlow™ technology gives the boxes and lids a distinct color to segregate them by usage, yet also provides crystal clarity for identifying contents. 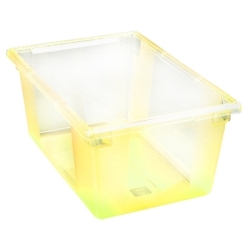 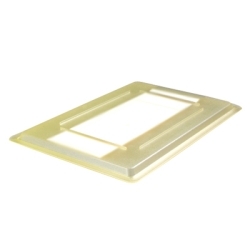 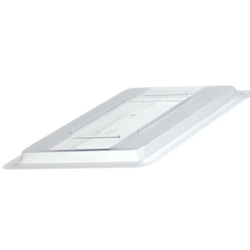 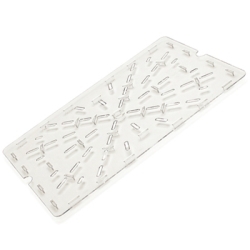 Color-Coded StorPlus™ Boxes can be easily integrated to your existing zone isolation program. 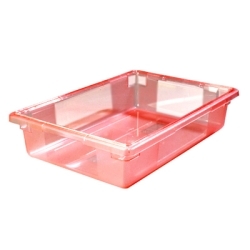 Use red for raw meat, blue for fish, green for produce, yellow for poultry, and clear for dairy and cooked foods as part of a complete HACCP Program. 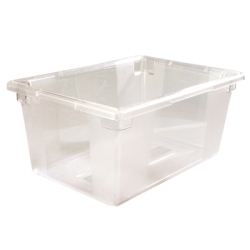 The reinforced top and bottom corners on both box and lid help prevent chipping and cracking and the easy-grip handles have structural rib reinforcement to provide extra support for heavy loads. 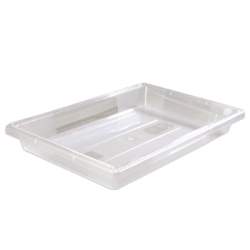 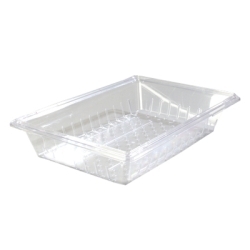 Use in catering for storage and transporting of foods, beverages, linens, and supplies. 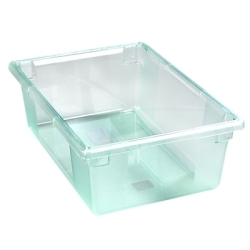 They can also be used to serve and display ice and iced beverages. 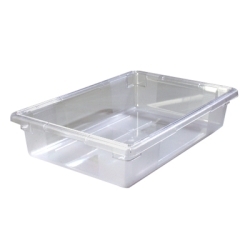 They double as dough proofing bus boxes, ware washing tubs for kitchen overflow, or remote locations. 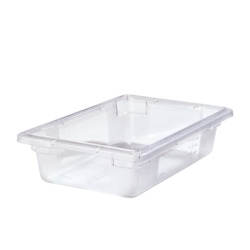 The "Lock-Tight" lids can be reversed and used as bun pan or tray. 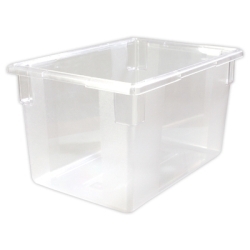 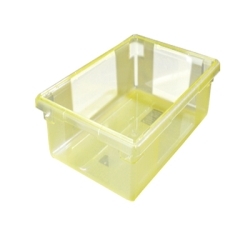 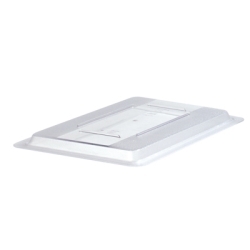 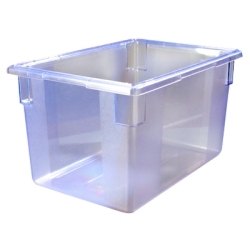 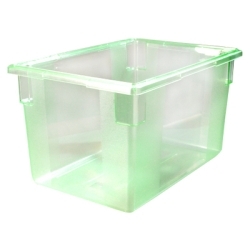 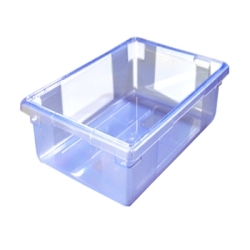 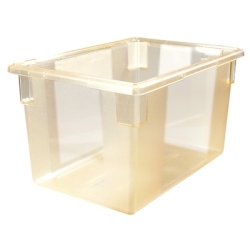 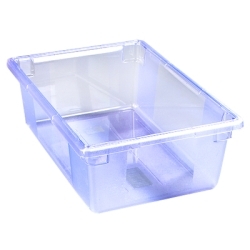 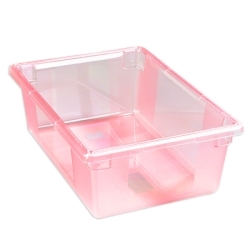 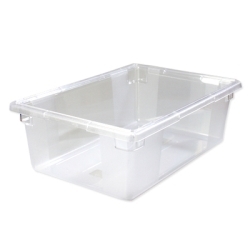 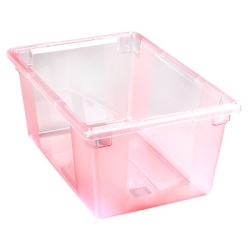 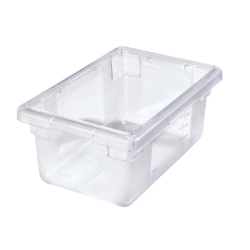 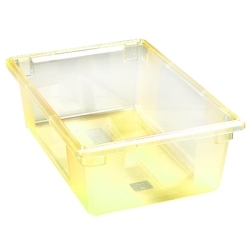 18" x 12" boxes have quart, gallon, and liter capacity indicators on the side for quick inventory checks; perfect for "prepping" and "portioning" of foods. 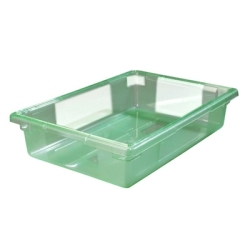 26" x 18" colander is ideal for storing, draining, thawing, and marinating foods; keeps lettuce crisp, thaws and drains fish on ice, marinates chicken, etc. 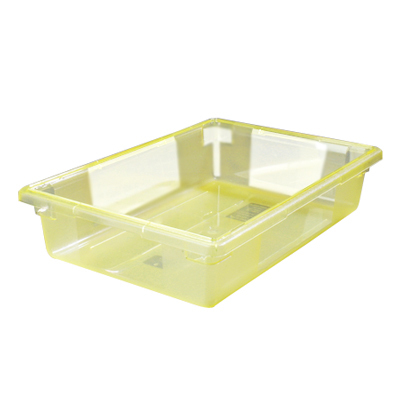 Clear StorPlus™ Color-Coded Food Storage Lid 26" x 18"
Red StorPlus™ Color-Coded Food Storage Lid 26" x 18"
Green StorPlus™ Color-Coded Food Storage Lid 26" x 18"
Blue StorPlus™ Color-Coded Food Storage Lid 26" x 18"
Yellow StorPlus™ Color-Coded Food Storage Lid 26" x 18"
StorPlus™ Color-Coded Clear Colander 26" x 18" x 5"
StorPlus™ Color-Coded Food Storage Drain 26" x 18"